It isn't too surprising with almost every other part of DC Entertainment in California along with Suit/Creatives Geoff Johns and Jim Lee already West Coast planted. For those that haven't heard or didn't care, DC Comics has announced it is moving out of New York City. Burbank, California will be the new home of the famed comic company. This also happens to be the home of the company's owner, Warner Bros. The plan is a gradual one which won't be completed until 2015. We don't know how creative decisions will be affected by hue change. Will Superman tanning himself in Malibu make him less likely to travel around saving lives? Inquiring minds want to know! Tony Stark's current address at Malibu is empty and he maybe moving to Stark Tower in NYC. 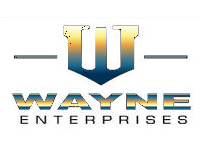 Maybe Bruce Wayne can take over and build a new Wayne Mansion there.